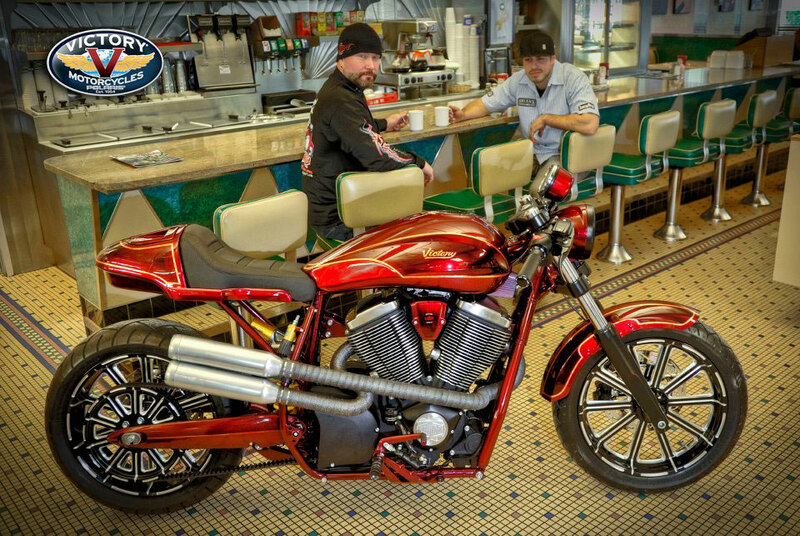 The grandson of Arlen Ness and son of Cory decided to give the Judge a café racer makeover. The “Ness Café” one-off features a completely new rear frame, handmade exhaust, LED tail light, Ness wheels and grips, Öhlins TTX rear shock and an extra three or four inches of ground clearance. The stock crankshaft was also replaced by Lloydz Motorworkz with a custom crank that weighs ten pounds lighter.